Lab fun with baby animals! It’s so cool to be smart! Visit a science fair and help cute baby animals do fun lab experiments! Learn the basics of science: chemistry, biology, astronomy, physics and archaeology! 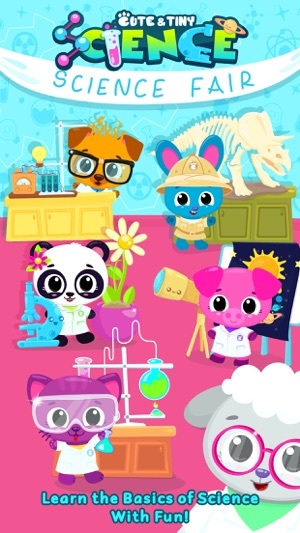 Kitty Sue, puppy Bu, bunny Blu, panda Choo and piggy Lulu love science and lab experiments! Bunny Blu loves dinosaurs! 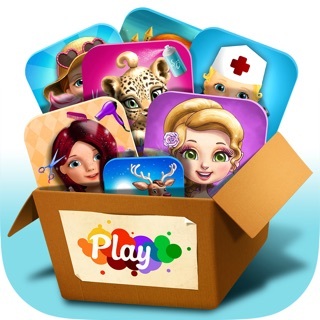 Go on a pretend play archaeological expedition! Be careful and clean up dinosaur bones! 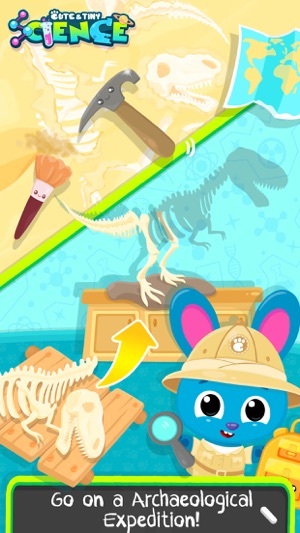 Match and collect the whole dinosaur skeleton - just like a puzzle! 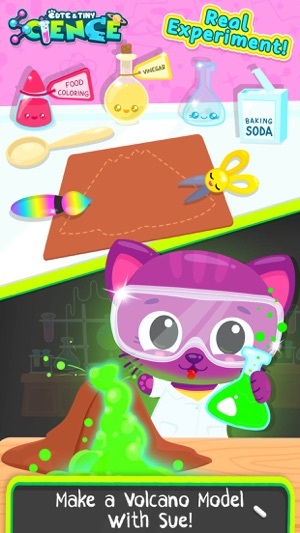 Kitty Sue wants to be a chemist! 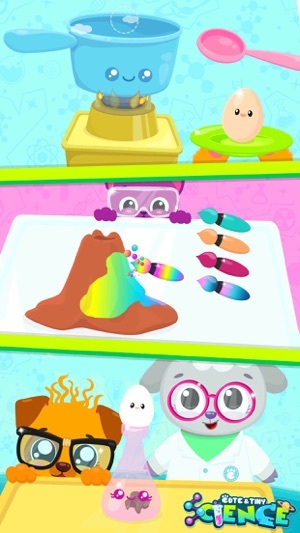 Use simple tools, mix ingredients and make a volcano model! Wow, the volcano is erupting! That was a fun and smart science experiment! 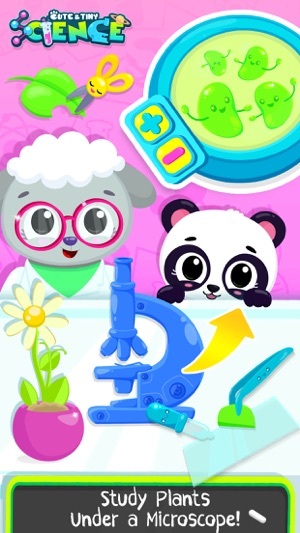 Panda Choo loves biology, plants and flowers! Study plants under a microscope with the baby panda! Look at these tiny plant cells! Help little physicist puppy Bu do and exciting physics experiment! Make an egg go through a tiny bottleneck! Wow, science is magic! 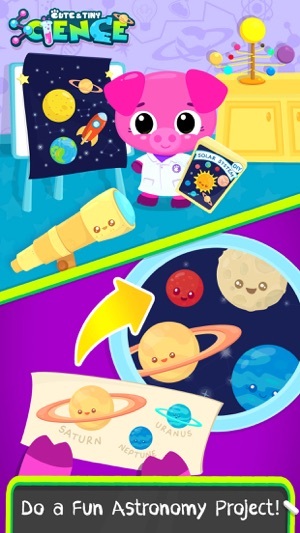 Explore the galaxy and solar system with piggy Lulu! Do a fun astronomy project and learn the planets’ names and order! Space is so mysterious and astronomy is super exciting! Go on lab adventures with the cutest baby animals! Learn, create and have fun! But always remember to ask for help from an adult while doing science experiments!